It’s particularly easy in this business to merely focus on the high profile movies that will make serious dents at the box office, or that will reap the most plaudits come awards season, but to limit one’s attention to only these categories is a mistake. There is far more to cinema than the big blockbusters and “please-love-me” biopics. Marvel and Star Wars occupy a significant amount of our cinematic bandwidth – often for good reason – but their yearly efforts shouldn’t consume every last inch of our attention. 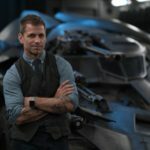 With this in mind, I wanted to spend, if you will allow it, my little corner of the internet shedding some light – for those who don’t know – on four upcoming non-blockbuster films that deserve our excitement. 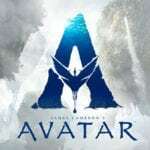 These are films outside of the mainstream, these are films that could be hit or miss, loved or hated, but are promising endeavours nonetheless, and that if they come together as desired, could provide for some exquisite feature film entertainment. So, without further ado, and with many omissions, here’s what I’ve come up with. 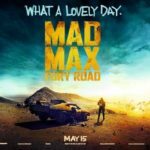 If you at all like me, sci-fi will always have a special place in your heart, especially sci-fi that tries to do something perhaps a little bit different, that chooses to elevate proceedings beyond fisticuffs, lasers, and alien hordes (though such efforts can of course be particularly enjoyable). This is one of the reasons why High Life caught my eye and why it has caught the eye of many other observers. Directed by Claire Denis (her first in the English language), High Life is set to star Robert Pattinson and will tell the tale of criminals who are told that their freedom will be granted if they travel on a spaceship, while being experimented on, towards a black hole in order to find a source of alternative energy. 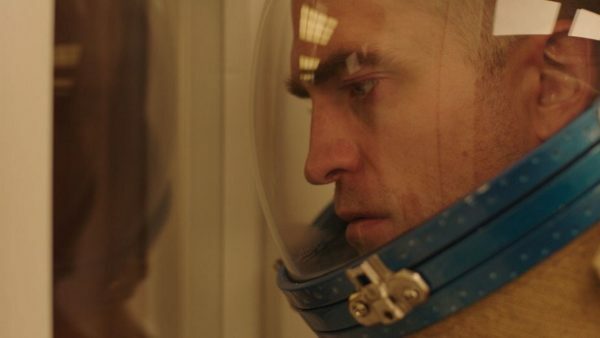 With a father/daughter narrative permeating its core and hopefully some thought provoking themes and dazzling imagery throughout, High Life will certainly be one to look out for. True Detective season one introduced to the world the incredible talents of Nic Pizzolatto, who wrote every episode of the epic murder mystery HBO series. While season two wasn’t quite the same force, his work still intrigues and his abilities as a writer are plain to see. So this adaptation of his novel Galveston is a prospect that can’t be ignored, especially by those fond of dark crime dramas with a modern western setting. Starring Elle Fanning and Ben Foster, Galveston is the story of a dying hitman who returns to his hometown of Galveston to plan his revenge. With the two impressive aforementioned leads in toe, fans of Pizzolatto’s sensibilities will be hoping this adaptation by director Mélanie Laurent will be the perfect entrée to whatever the writer manages to conjure when True Detective season three finally arrives. It’s always a thrill when a new director bursts onto the scene and there aren’t many quite as exciting today as S. Craig Zahler. 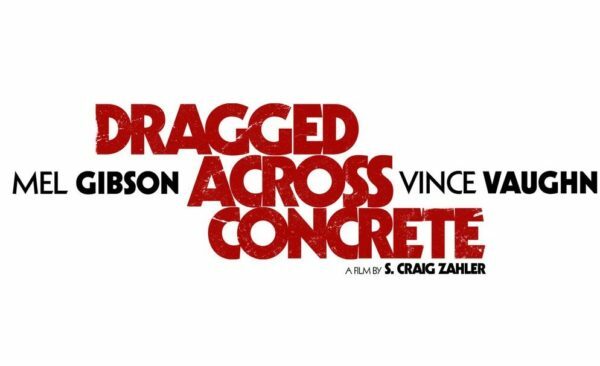 Having already brought us the macabre and frightening western Bone Tomahawk, and last year’s phenomenal bruiser known as Brawl in Cell Block 99 (easily one of the year’s best films), the anticipation for his next effort, Dragged Across Concrete, should be felt by all and we can surely figure a posteriori that the film will be quite something. Starring Mel Gibson and the returning stars of Cell Block 99 (Vince Vaughn and Jennifer Carpenter), the evocatively titled next effort from Zahler will bring to audiences the surely very violent story of two suspended cops who dive into the criminal underworld to get their just due. If Zahler’s previous efforts are anything to go by, expect gore aplenty, colourful characters, and a whole lot of fun for those of an appropriate age. 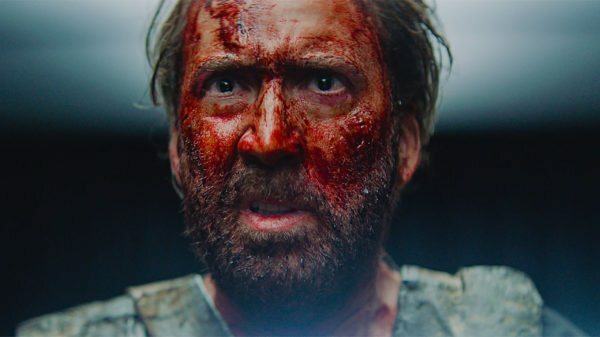 While not quite reaching the heights of the McConaissance or Keanu Reeves’ own cinematic resurgence, Nicolas Cage is certainly making a lot of interesting decisions with his work of late, packing in a whole host of dark and disturbing crime thrillers into his resume. Next up is the much anticipated follow up to Panos Cosmatos’s Beyond the Black Rainbow – one of the most visually audacious, disturbing, and stunning works of cinematic art in recent memory. 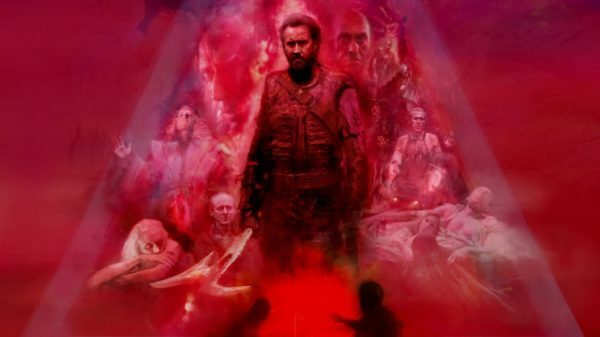 Mandy, boasting easily the best poster of 2018, is an action-thriller (receiving rave reviews at Sundance), that is set in the wilderness of 1983, where a man named Red (Cage), broken and haunted, hunts down a nefarious religious sect that murdered the love of his life. This is prime real-estate for Cosmatos, and anyone who has seen Beyond the Black Rainbow will be jolting with febrile vibrations in anticipation of the 80s setting and hoping for another jaw dropping, hypnotic, and emotional visual odyssey. Can we also be so bold to ask for another glorious 80s inspired synth soundtrack?